It looks amazing! 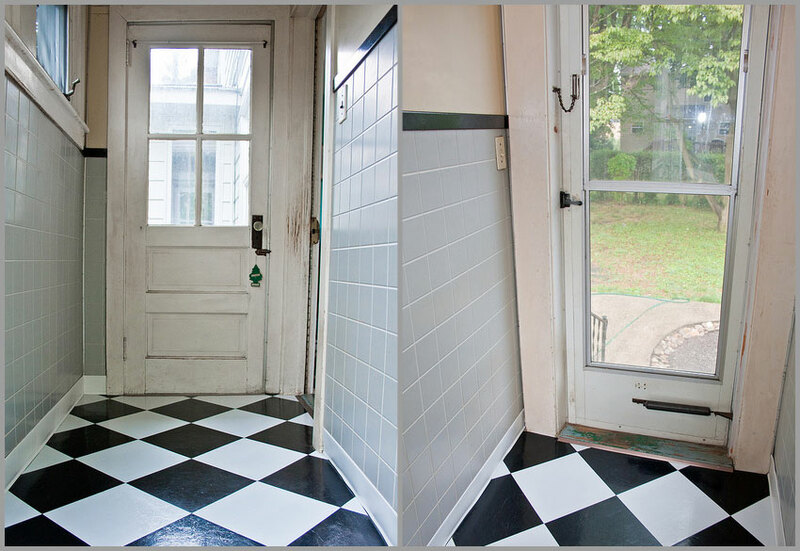 I love the black and white tile and I’m blown away by how much of an impact it makes!! Thanks so much Amanda, we are pretty happy with it! BEAUTIFUL!! You guys did such an awesome job, I’m so impressed by how gorgeous everything looks. Also, I think it’s hilarious that you change song lyrics to include Betty White’s name…haha we do that with our dogs too! You guys are seriously an inspiration. I need to step up my game! Thanks for your kind words, you are just as fabulous! OMG you just made the kitchen I have always wanted!!!! Ahhhhh!! 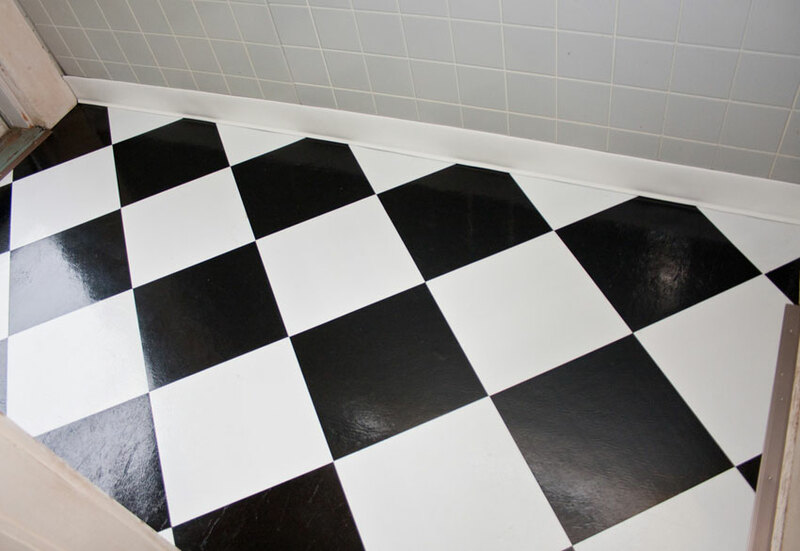 Well if you ever need help laying black and white vinyl peel and stick tiles, I’m yer gal! I love love love it and I’m totally inspired. 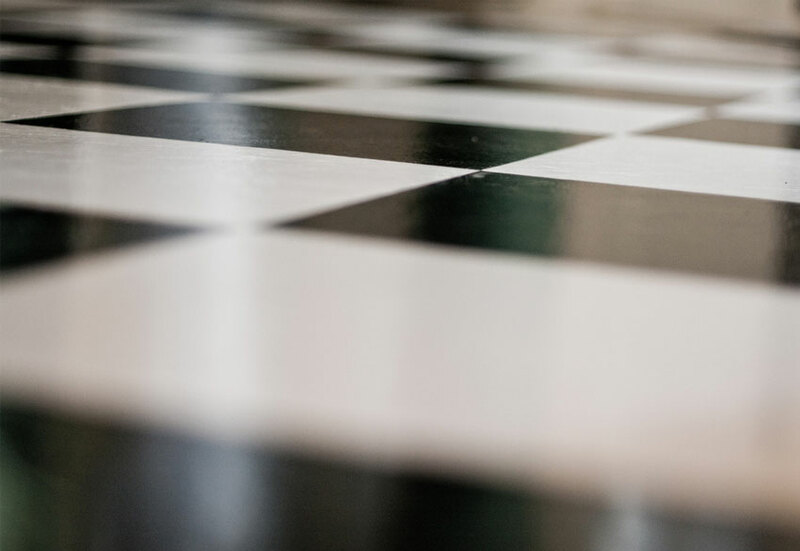 I have horrible memories of being a child and having to clean black and white checked peel and stick tile in my parent’s house…let us know how it is to clean! This looks so awesome! I’m mentally plotting whether or not we could pull this off in our tiny galley kitchen.. I bet you could! 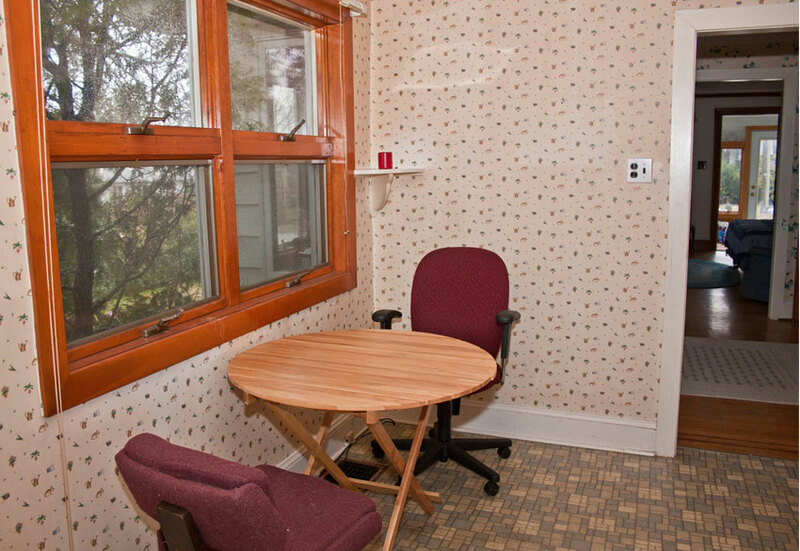 It looks a lot better in our teensy mudroom, so I’m sure it would look great in a small kitchen. I definitely want to try it in our downstairs bathroom as well, which is teensy. Wow, I’m impressed! We replaced our floor a few years back with one of those floating, interlocking floors. It was not easy (thank you, house built in 1947 with no right-angles to be found! ), but the end result was great. Unfortunately, I was not blogging back then and therefore I have no pictures to share…booo! Holy kazoli!!! That is an amazing transformation. You should be really proud. ESPECIALLY considering how m-fing hot it was this weekend. Dude, your kitchen is gorgeous! Love the floor and wall color together. Holy crikeys, that’s ah-MAZE-ing!!! So amazing, I’m piping up from my technology-free, Jersey Shore vacation just to comment on how freaking amazing it is. GREAT job!! I love the way yours came out, first I was thinking of vinyl stick and peel tiles too but had the same issue as you: simply couldn’t find any to buy! Great job! My wife stumbled upon your blog a while back, and I’m glad she did. We were going to pay a contractor a lot of money to redo our kitchen floor, but this post convinced us that we could do it ourselves. Kudos. Love the revamp! That blue with the black and white is a real knock out. 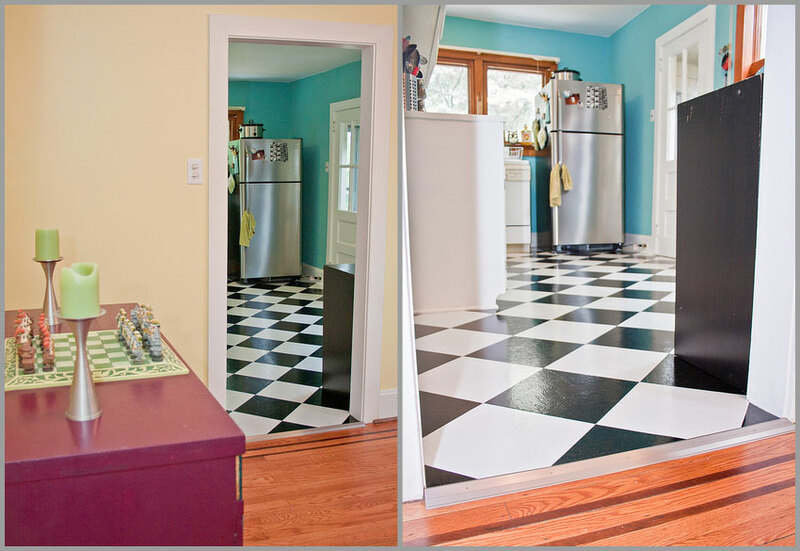 My wife and I have been thinking about doing floors like these to cover up the ugly vinyl floors for now… and then save up and possibly put something else later on down the line. (Thanks for the Mazer link btw… great price!) Looks like it’s been over a year and half now, and I’m curious how the tiles stood up to kitchen use so far? Hi Kevin! The tiles are still in great shape! We are really happy with how they came out and you really can’t beat the price. Thanks so much for your comment, good luck with it! Hello! 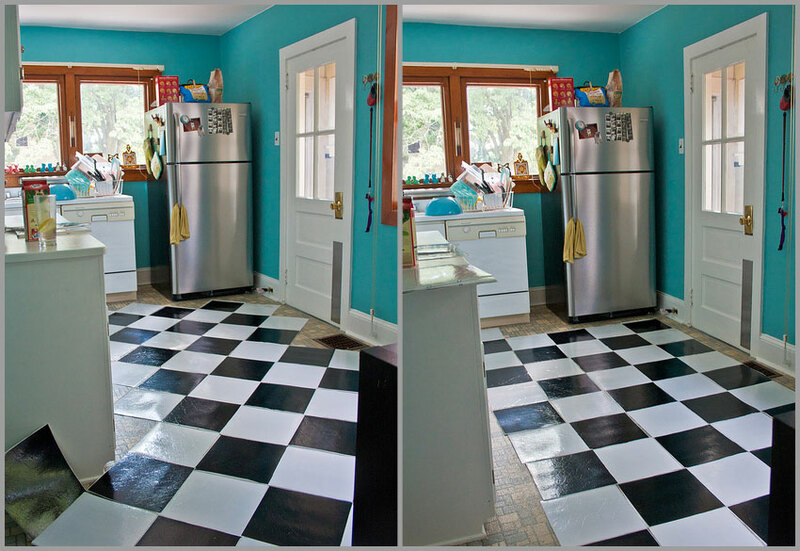 I was excited to find your blog as I am also desiring to do a (budget friendly) diagonal checkerboard floor in my kitchen. Are these twelve inch tiles? Do they give off a high shine? Hi Kristin! Sorry for my slow response, your message was sent to my spam inbox. To answer your questions, yes, the tiles are 12 inches and they are also glossy. I don’t know if I’d consider it a high shine, but they are definitely not matte. 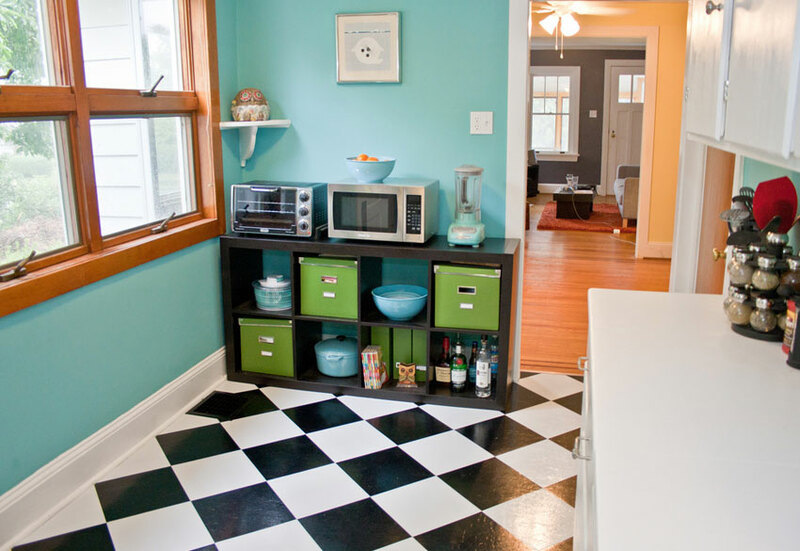 Good luck, I think they are a great option for a budget friendly checkerboard kitchen! I know I am a little late to the game but I am so glad I found this! These are the exact colors I am doing my kitchen and I was wondering how it would look with the wood and everything else. I was also having trouble finding tiles, I just ordered them from the place you linked to! Thank you so much for posting this! I cant wait to see my finished product!!!! Hi!! LOVE LOVE LOVE your new kitchen and you have inspired to revamp my kitchen in my apartment. 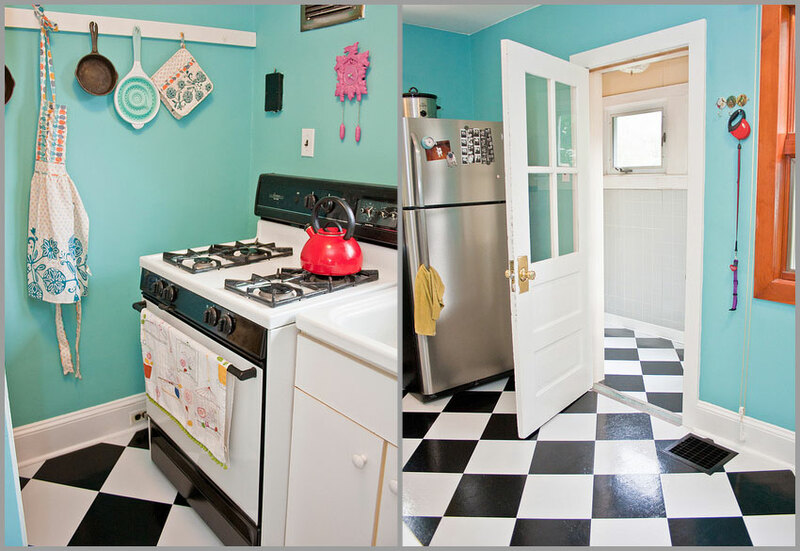 I already have the black and white tiles, thank you late 70’s, and was looking for kitchen ideas based on the tiles. When I saw yours I immediately fell in love! Would you mind telling me what color paint you used for the walls? I am in the process of refinishing my old yellow and brown kitchen tile to a clean white and would love to use the same cheery paint! Hope this finds you well and thanks for your help!! Could you tell me the color paint on the walls? Hello! 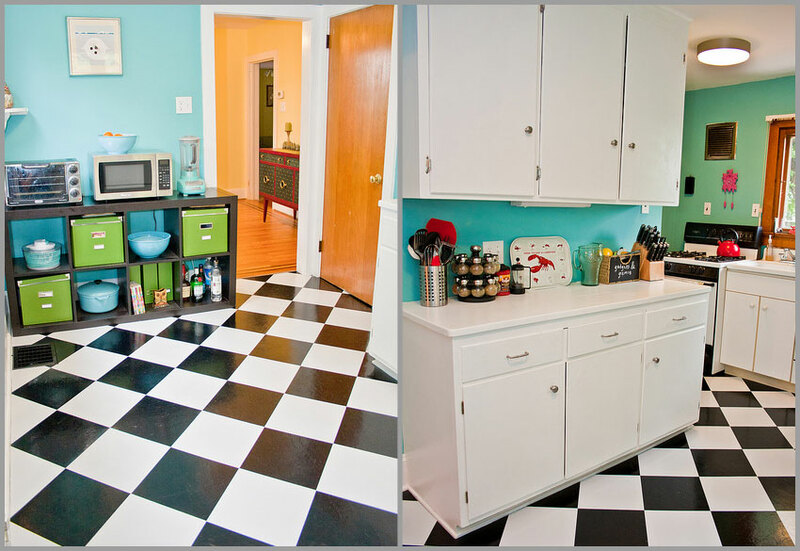 I love you floor makeover… it’s awesome! I’m curious do the tiles have a texture to them? or are the more of a flat black and white? I’ve seen a few peel and sticks in stores that have a lot of texture to them, I’m trying to decide if buying from the link you provided is a better option! Also do you do anything differently when you clean these? or do you sweep/mop just like a normal floor? Thanks Brittni!! The tiles have a very subtle texture to them, but nothing crazy. Just some line hair type textures to give it a bit of depth. I tend to sweep the floors and then use a wet Swiffer on them, but that’s just because we have dogs and it’s easier to get all the hair up. Thanks for reading! You can probably see from my pingback that I LOVE your kitchen. 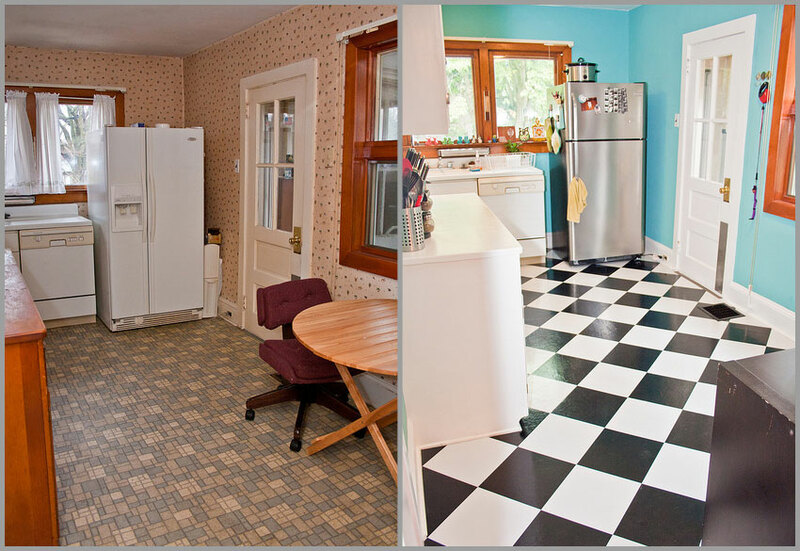 I have a few questions about the tiles – did you take up the previous linoleum before putting down your new tiles? Our linoleum is “bumpy” (there’s a photo on my post). My brother’s all “Oh you can just put tiles over that” but I’m not so sure. Also – how are the tiles holding up, now that it’s been a few years? Our kitchen is the main entryway to our house (nobody comes in through the front door!) so I wonder about durability. Thanks for the kitchen love! We were lazy and didn’t take the linoleum up because it didn’t really have any texture to it. I think with yours having the bumps it would be difficult to get a flat surface, so it might be worth pulling up and applying to the subfloor. The tiles are holding up great! 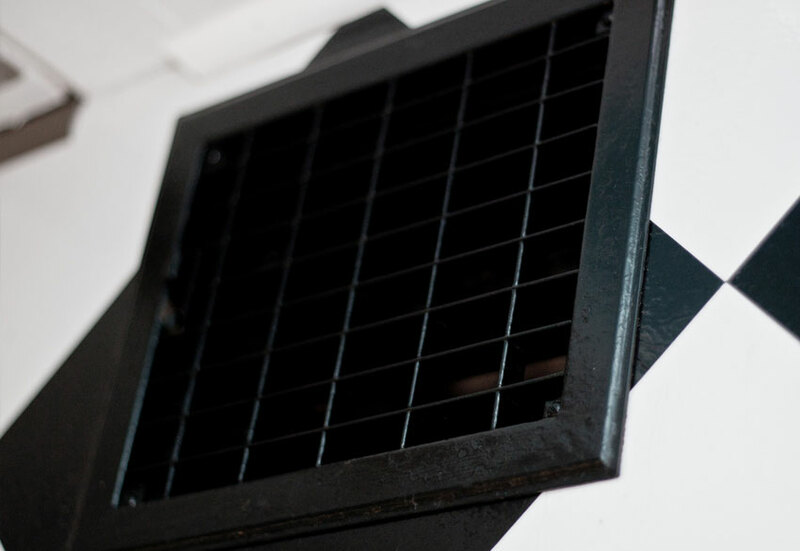 We haven’t had any issues with them so far…but we have some spares to use if some need replacing. I’ve been impressed with their durability, especially since we have two dogs. I definitely recommend it for a semi-quick and affordable fix! We plan to redo the kitchen eventually, but this was an easy update for now. Next Next post: Vintage Tea Length Wedding Dress Needs a New Home!